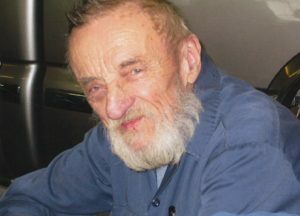 Junior Lacy, 85, of West Union, Ohio passed away on Monday, March 25, 2019 at the Adams County Regional Medical Center in Seaman, Ohio. He was born October 13, 1933 in Oliver Township in Adams County. He was preceded in death by his parents, Marshall and Fern (Allen) Lacy, and brother, Forest Lacy. Junior is survived by his companion, Rhonda Purdin of West Union; daughter, Ashley Purdin of West Union; son, Jeffrey Lacy of Connersville, Indiana; sisters: Juanita Barton of West Union, Dorothy Lacy of Mason, Ohio and Eloise VanHook of Loveland, Ohio; grandchildren: Madison Horsley of Lynx, Ohio and Paisley Moore of Blue Creek, Ohio; one nephew, one great nephew, one great great niece and one great great nephew. Junior was an auto mechanic and operated Lacy’s Garage for over 40 years. He was a Veteran of the US Navy. The visitation is from 11 am until 12 pm on Friday, March 29, 2019 at Lafferty Funeral Home in West Union. The graveside funeral service will follow at Locust Grove Cemetery in Franklin Township in Adams County. So sorry for your loss,Prayers for all. Junior will be missed. He was a very good man and laid down some of the finest paint jobs ever. So sorry for your loss. Jr. Was a friend & great customer for many years. So sorry for your loss. Jr. was a good neighbor and friend. Prayers for the family. So sorry to hear. Jr was a good man and will be missed by many. We will be unable to attend the services due to working and prior engagement. Prayers for comfort as you say your goodbyes.